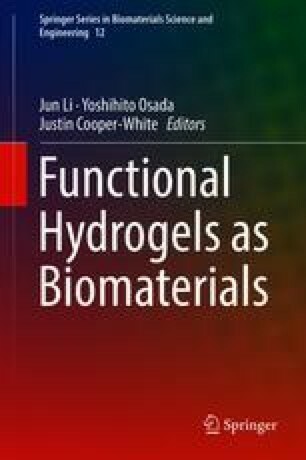 The concept of dynamic supramolecular surfaces and its performance as the functional biomaterials surfaces are introduced in this chapter. In order to provide the dynamic nature on substrate surfaces, supramolecular architecture of polyrotaxanes (PRXs) is introduced into designing block copolymers. In the PRX segment, many cyclodextrins are threaded onto a linear poly(ethylene glycol) chain capped both terminals with bulky endo-groups. The molecular mobility at surfaces in aqueous media could be controlled via changing the number of threaded CDs. By adopting the mobile supramolecular PRX platform, conformational change of adsorbed fibrinogen molecules is greatly suppressed, and the subsequent platelet adhesion is reduced. Further, introducing RGD sequence into the PRX platform can induce fast cellular response but reduce the later cellular metabolic response. These novel concepts of dynamic cell-adhesive surfaces are expected to provide a promising way to develop functional biomaterials that is able to induce selective cell adhesion, rapid cellular recognition, or suppression of differentiation.